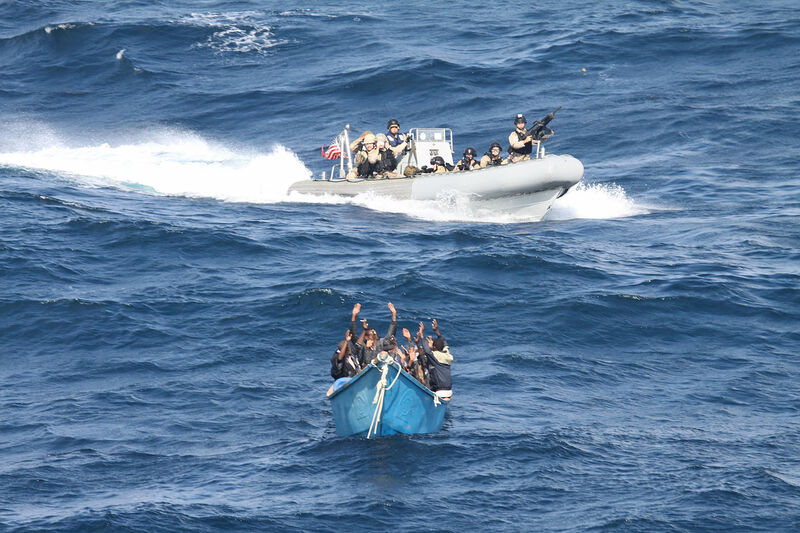 The UN has warned that maritime crime and piracy are on the rise across the globe, with organised criminal groups taking advantage of “jurisdiction and enforcement” challenges on the high seas. Addressing the Security Council in New York by video link from Vienna on Tuesday, UN Office on Drugs and Crime (UNODC) boss Yury Fedotov noted that the majority of the world’s oceans lay outside of single state criminal jurisdictions, making it easier for criminals to operate at sea. Noting the links between maritime crime and other illegal activities such as people smuggling and terrorism, Fedotov told the Council how UNODC’s counter-piracy programme has grown following the success its efforts off the coast of Somalia, which has been plagued by crimes such as piracy, robbery and smuggling for many years. As well as helping authorities in Somali deal with the threat posed by piracy, Fedotov explained how UNODC is also assisting countries including the Seychelles and Kenya as they attempt to tackle high seas crimes including migrant trafficking, drug smuggling, armed robbery and illegal fishing. “All our work at sea, where jurisdiction is complex – crime is often committed unseen and enforcement is difficult – builds on UNODC s long experience and research expertise in addressing all forms of organized crime, terrorism and corruption”, he said. Fedotov went on to stress the importance of all UN member states ratifying and implementing international commitments, such as the UN Convention against Transnational Organised Crime and its protocols, as well as ensuring the provision of technical assistance to law enforcement agencies that deal with maritime crime. Also addressing the Security Council on Tuesday, Philippines Representative Kira Christianne Azucena warned that maritime crime and piracy are transnational threats that require a global coordinated response. She said that the Security Council and UN member states have a shared responsibility to battle the threat posed by maritime crime through the enhancement of a range of actions, including increased international cooperation, the strengthening of law enforcement agencies’ ability to tackle the issue, and the adherence of member states to the Convention against Transnational Organised Crime and its protocols.